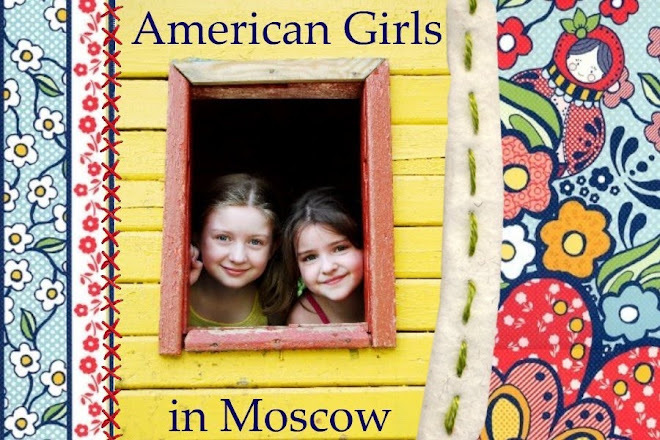 I'm often asked for recommendations about resources for teaching English to both native-speaker kids and foreign students (of all ages) of English alike. I figured I'd a post to try to get all this information in one convenient spot! I am a HUGE proponent of teaching through games. Languages are meant to be communicative, and what better way to get students talking and listening than by putting them in an environment where the focus is on fun—and the task at hand—instead of on worrying about making a mistake? I find that even the most timid students perk up when we're playing a game; they're happy to be part of a team and are often very valuable contributors. 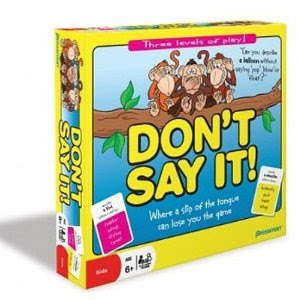 Speaking games are the BEST way to build up one's active vocabulary. You're forced to use synonyms and to "problem solve" very quickly—skills that come in very handy when in a new situation and you're forced to use language in a new way! I didn't include Scrabble in the lists because it's a given... But it doesn't lend itself well to larger groups, and the pace at which you play it is rather slow. The games I have listed below easily work with more than four people. PLEASE NOTE: THE GAMES INCLUDED FOCUS ON LANGUAGE SKILLS. I purposely didn't include things such as Math Cubes, Twister (although with foreign language students, Twister is super for teaching the imperative tense, colors and body parts), Monopoly, etc. So what have I forgotten?? Please let me know any others I should try!!! Pictionary (..but not in the classroom setting with ESL students; learning isn't quick enough). Taboo (VERY IMPORTANT: Remove any cards with inappropriate adult words first). 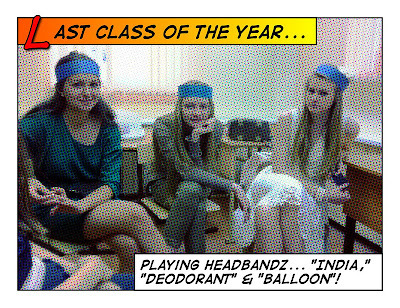 Headbanz (VERY IMPORTANT: Remove any cards with inappropriate adult words first). Pictionary (Remove any cards with words kids won't understand). Taboo (Review cards for appropriate level/content). 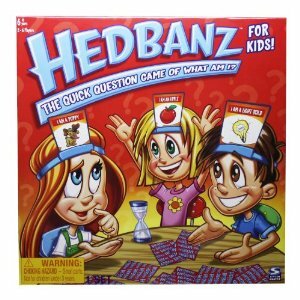 Headbanz (Review cards for appropriate level/content). 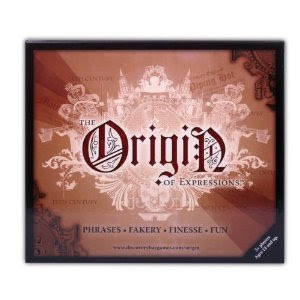 Origins (Review cards for appropriate level/content). 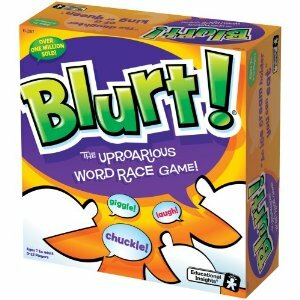 Blurt (Review cards for appropriate level/content). 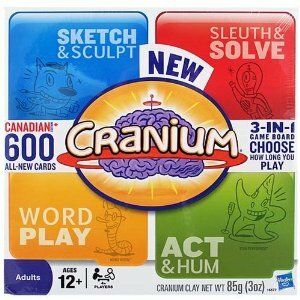 Cranium ((Review cards for appropriate level/content). This is basically a game of "telephone," only through quick doodles and quirky captions... Lots of fun for all ages. My family loves it and so do my students. 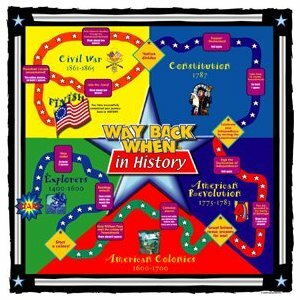 My kids LOVED this when they were younger, and it's a huge hit with middle school students. Think "Taboo," but on an easier scale. Super for building vocabulary and fluency! 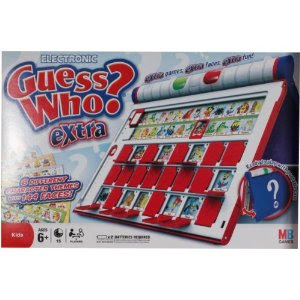 My all-time favorite party game... Huge hit with seniors a few years back, too. My kids and my students (of ALL ages) LOVE this game. It's basically riddles (one for each sense) that help you guess what the secret word is. When playing with less advanced students, I act out the clues, too, or simplify them. LOTS of fun. SUPER game. Can use it with little kids, and you can also use it teach SAT vocabulary! 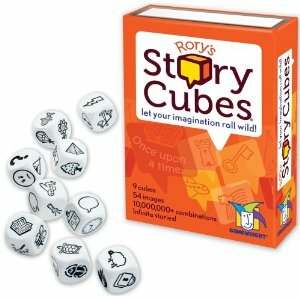 Simply roll the cubes and put together a story (or sentences) inspired by the prompts on each cube. Can easily be played in ANY language. I keep it in my purse for when we go out to eat. 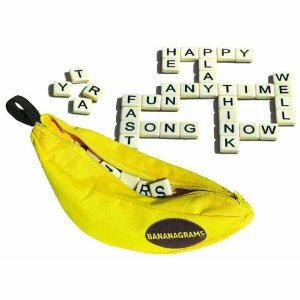 Ah, Bananagrams... 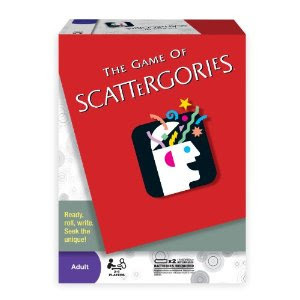 Think Scrabble and crossword puzzles all rolled into one, but only MUCH more rapid and fun... Great for any age and any level. 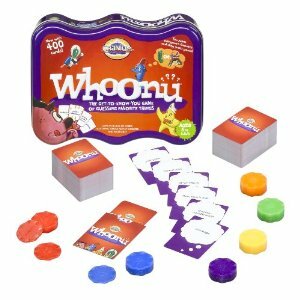 Gave it to K's classmates when they were in first grade to even practice spelling the most basic words... Super fun as a competitive game, too. You can actually run out of breath when racing to win! Big plus how compact it is. Other variations on this, too, in the shape of a pear or apple. My kids and my students LOVE this one. Super for practice asking questions. Easy to make your own version, too, by writing vocabulary on blank cards and sticking them on a band on someone's head. Haven't played this yet, but it looks SUPER. Getting it for Christmas. From what I read, very adaptable. Looks like a nice alternative to Taboo. 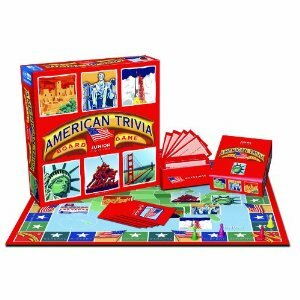 Fun for individuals competing or for teams. Great vocabulary-building game. 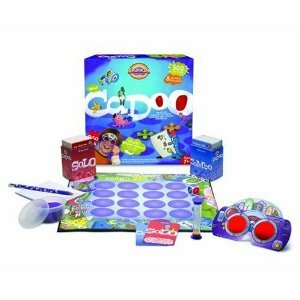 Ah, Cadoo... We spent HOURS playing this when the girls were ages 5-8... SOO much fun. Think Pictionary, sculpting, acting, riddles and trivia all rolled into one... My middle school students love it, too. We have another game like this (Scabs and Guts) that girls and some students of mine LOVE. I picked this one for the list because kids also have to do mini science experiments. 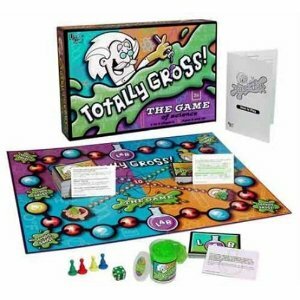 Lots of fun learning about the body while being, well, gross. 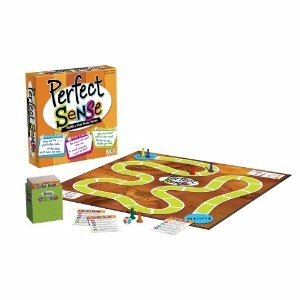 My kids loved this game until they were nine... SUPER for teaching language to students of all ages, too. Practice asking questions and describing features. Christmas this year.... I'll let you know what we think, but it looks really good for families. Same as above, but easier for younger kids. 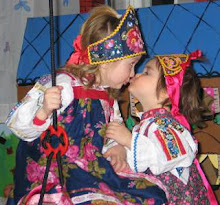 Have you ever presented at any conferences for language teachers? You have so many fantastic ideas that there would be standing room only at your workshop! Some old favorites here, and some games that are new to me (and sound great). Thank you for sharing & providing those helpful links as well! Andrew--Since moving here, I've let my membership in US teaching organizations drop... Wouldn't easily be able to get away from work for conferences, and I would have to foot the bill myself... But I'm so, so interested... I'm also able to teach workshops on the Rassias Method, and I'll soon be doing a workshop with teachers at our school on how to incorporate his "drill" techniques in foreign language classrooms (plus other favorite Rassias classroom activities). I'll teach the workshop during my regular 9th grade French class so the English teachers will have more of a feeling for "being in a foreign language classroom" from a student's perspective. 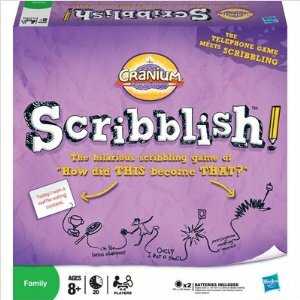 Julie--your kids would LOVE Scribblish!!! And Cadoo!!! What a thorough and helpful post for parents. Once you are back here in the country, you can get back to attending and presenting at conferences. I love to play Headbandz with my ELLs we are also big Whoonu fans! Here are two of our other favorites: "Find It" there are soooo many ways to use this one! Apples to Apples: another great vocab builder! As a side note I very much want to soeek Russian. Thank you so much for writing about this topic - no need to worry about Xmas gifts! Great, Great Job! 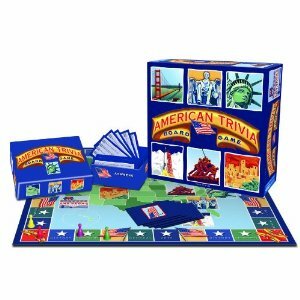 I am so going to get American History Jr & way back when in history and the totally gross games for my kiddos.